Co-Authors: Alaa Abbas, Liverpool, UK – Liverpool John Moores University; Felicite Ruddock, Liverpool, UK – LJMU; Glynn Rothwell, Liverpool – LJMU; Robert Andoh, Portland, Main, USA – AWD Consult. Inc.
A manhole is one of the main elements of a sewer network; it is a structure used to gain access to the sewer for inspection and maintenance. A Collapse of this structure can cause a serious pollution problem and nuisance because of the sewage spill into residential areas. Stability of this structure depends on the correlation between the manhole material and soil material. This paper presents an experimental investigation for testing the structure of a manhole under a live load situation. Firstly, when buried in sand and secondly when buried in sand-clay. A trench filled with soil and embedded in a hydraulic rig was used to simulate a live load applied to the buried manhole in the lab. The results demonstrated how the types of soil play a significant role on the behaviour of the manhole structure against different loads. The design of a manhole buried in sandy soil showed less resistance to live loads; therefore, the designer needs to take into account the soil type that a pipe and manhole are buried in when designing a sewer system. This is specifically relevant in a sandy type soils which are mostly found in middle east countries. Keywords: Manhole, sand soil, sand-clay soil, structure design, sewer system. Professor of Water and Environmental Engineering and Head of the Department of Civil Engineering, Liverpool John Moores University, Peter Jost Centre, Byrom Street, Liverpool, L3 3AF, UK. Bio: Professor of Water and Environmental Engineering and Head of the Department of Civil Engineering, Liverpool John Moores University, Peter Jost Centre, Byrom Street, Liverpool, L3 3AF, UK. Professor Alkhaddar has extensive experience in Water and Environmental Engineering, with special expertise in Wastewater Treatment methods. He graduated form the University of Basra, Iraq as a Civil Engineer and completed his MSc and PhD in Civil Engineering Hydraulics from the University of Strathclyde, Glasgow, UK He has maintained a very strong link with the UK Water and Environmental industry in order to stay involved with any new developments in the aforementioned fields. He also has excellent links with Professional bodies especially the Chartered Institution of Water and Environmental Management (CIWEM) where he was the President of the Institution in 2015-16. He is also a Fellow of the Institution, on its Board of Trustees and an Honorary Vice President of the Institution. 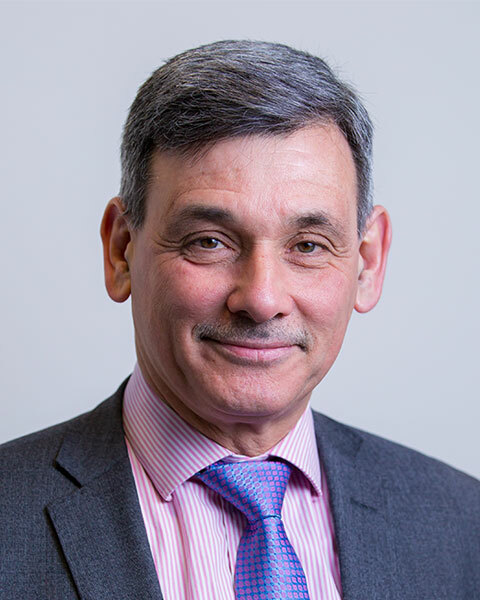 He is currently the Head of the Department of Civil Engineering at LJMU where he manages over 20 staff and 500 students, who are on various courses such as HNC, BEng, MEng, MSc and PhD. The Department run fully accredited degrees by the Institution of Civil Engineers in the UK and he lead a number of these accreditations. He has published over 120 publications in refereed journals and international conferences. He has a number of International links which culminated of his appointment as a Visiting Professor to a number of International Universities in Turkey, Egypt and Iraq. He has also joined an International delegation to validate Civil and Environmental Engineering Programmes in the UK and internationally in Lithuanian and Saudi Universities. He has managed to attract over £1.5 Million in research and consultancy funding since the year 2000.